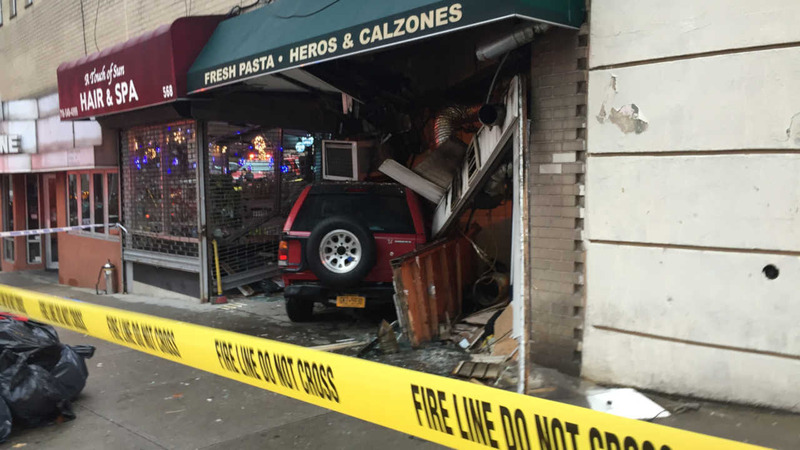 RIVERDALE, Bronx (WABC) -- It was a close call in the Bronx when a car crashed right into a pizzeria. The car struck 'Famous Pizza Express' on Kappock Street in Riverdale on Monday afternoon. The car went all the way into the restaurant, but amazingly the two people inside suffered only minor injuries. The driver on the scene told Eyewitness News he was avoiding another driver who was trying to beat the light.